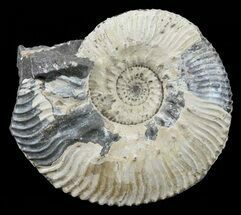 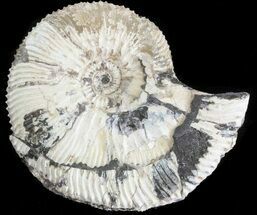 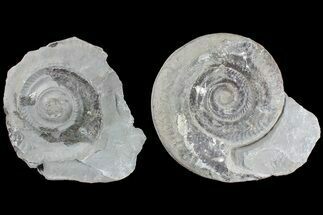 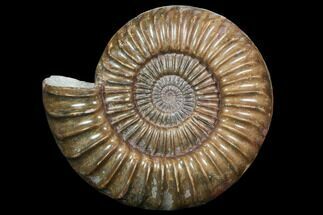 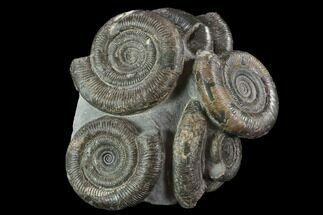 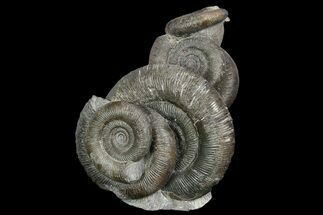 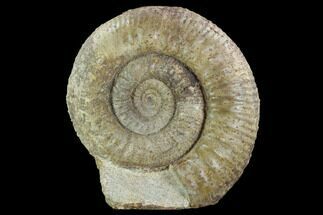 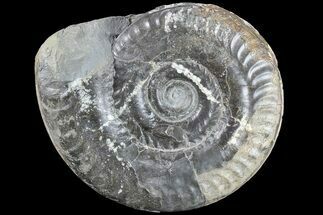 The ammonites are of the species Promicroceras marstonense and are Lower Jurassic (~200 million years old) in age. 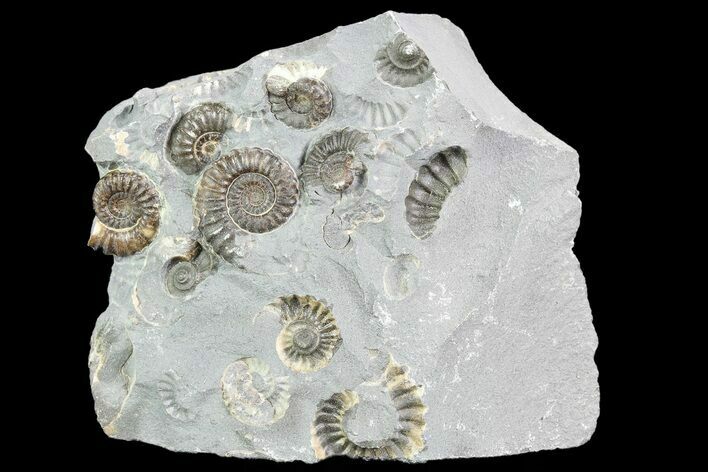 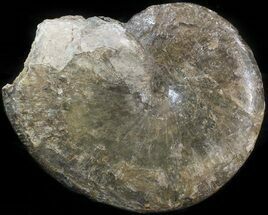 This rock is quarried from near Marston Magna, Somerset, England with many beautiful detailed ammonites can be seen. 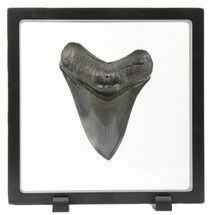 The base has been cut flat so it will display without the use of a stand.